I’m so excited to start teaching Twinkle, my liberated star. Based on my super-sized star quilt, I decided that it was time to teach this as it is one of my favorites. No two blocks are alike… different sizes, colors, fabrics, dimensions! This makes it so personal and unique. 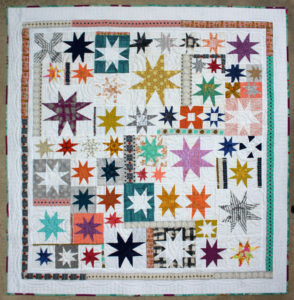 Create a Liberated Eight Point Star quilt using a variation of the nine patch block. 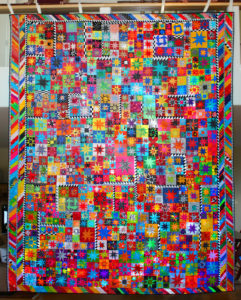 Learn how to place different size blocks together into one big, beautiful quilt. In this class you will learn about improv sewing, designing blocks with personality, while keeping your work squared and accurate.